For More Information, Contact the Vermont Maple Sugar Makers' Association. Maple producers have no control over which grade they make. Generally speaking, lighter syrup is made earlier in the season, and dark syrup is made later. But because Mother Nature is unpredictable, anything can happen. In addition, the trees themselves undergo chemical changes which can affect the grade of syrup produced. The question of which grade is best is a matter of personal choice. 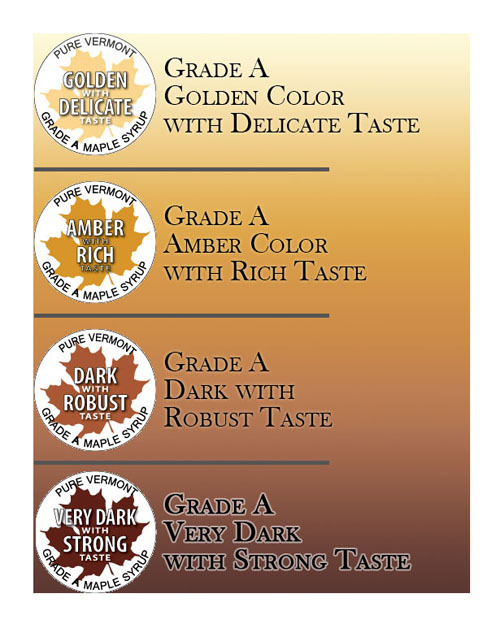 But one thing is certain - all maple syrup grades are better than the artificial syrups.